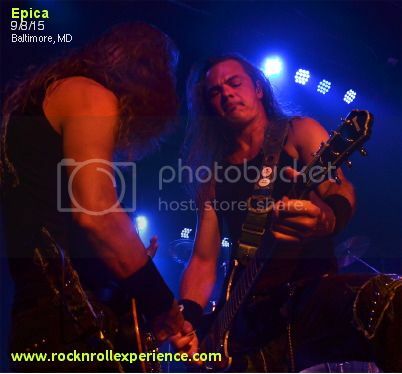 Opening night of the Epica 2015 US tour was a strong billing which featured 3 distinctly different styles of metal. The crowd was just as diverse as the bands which made the night fun. Overall this show was a unique bill that featured 3 bands with female vocalists and each band brought something different to the stage; luckily the 3 different crowds meshed well and created a giant sea of unity. I arrived just as The Agonist were finishing their set and what I saw/heard was solid. 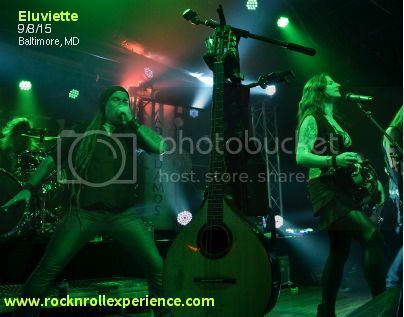 Eluviette brought folk metal to the bill and I will admit that I wasn’t particularly keen on the flutes; I felt like I was watching a heavy metal version of Jethro Tull. Eluviette played a full headlining set and while I wasn’t totally sold on their style I can’t deny that they sounded great and played a good set. Epica were the nights headliner and the first thing that struck me during the opening track was the amount of samples and backing vocal tracks. 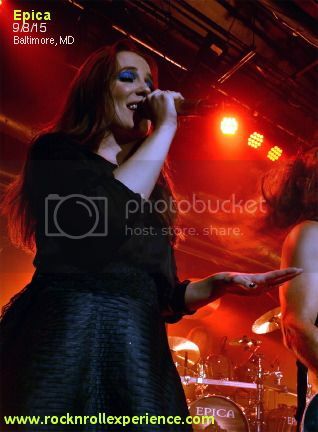 Simone Simons has an amazing operatic style singing range and after a few moments it struck me that she would have been an interesting replacement for Geoff Tate in Queensryche because her range is really high! Epica performed a 90 minute set that left me speechless due in part to the sheer power the band has with their music. Every song performed by Epica was an entrancing, mesmerizing experience and admittedly I’d never seen the band perform live before; I left this show feeling musically fulfilled and looking at the crowd I will say they felt the exact same way! 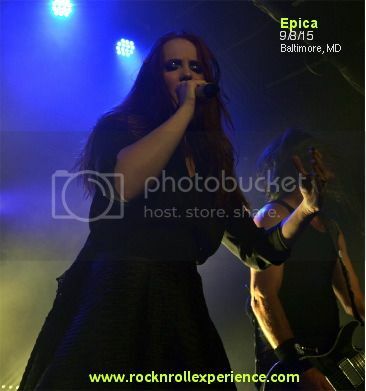 Overall this was a great kick off for the Epica 2015 world tour and Simone commented to the crowd that the band were currently working on new music and that they would return to Maryland once the new record was finished.